Malabar Black Pepper is the most widely consumed pepper in the world. 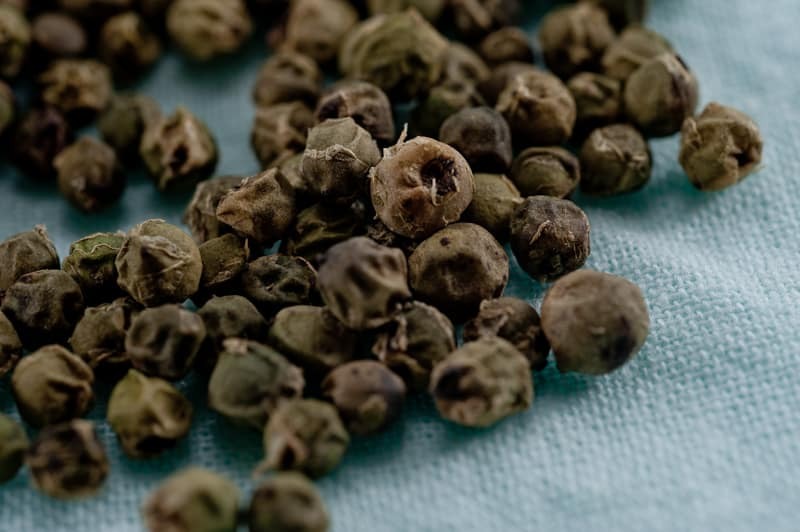 It is grown on the southwest (Malabar) coast of India where peppercorn production first originated. This is a small/medium sized berry, sometimes with a slightly greenish hue. Noted for its complex spicy fragrance with a hint of cedar, Malabar pepper is versatile and goes especially well with beef. It will hold its own with other strongly flavored dishes and is a favorite for everyday grinding. Since Malabar peppercorns are often used in signature dishes, their versatility makes them very appealing. As an added bonus, if you are looking to use milder, but more exotic flavors in any given dish, Malabar won’t over-power them, or prevent them from being noticed. That said, these peppercorns can easily compliment spicier seasonings and add a special kick of their own. MEDICINAL: Pepper calms nausea and raises body temperature, making it valuable for treating fevers and chills.